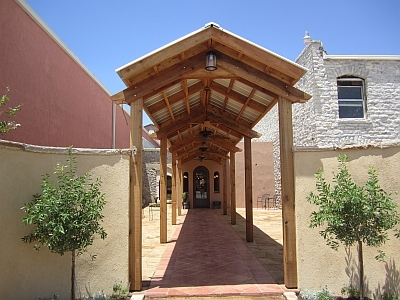 Wedding Oak Winery opened on June 1, 2012 and is located in San Saba. 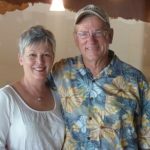 The winery is managed by Mike and Lynn McHenry. 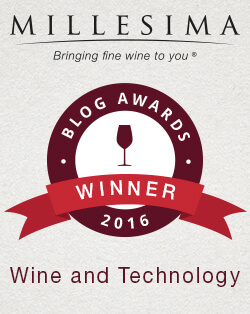 Mike is the General Manager/Managing Partner for their group of investors who all happen to be wine aficionados and are called the Sabanista Club. 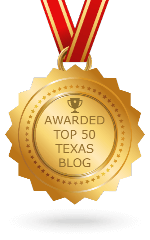 The 20 investors are from all over the state and located in cities like Baytown, Bay City, Austin, Temple, Midland, and of course San Saba. 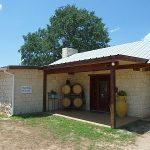 We first visited Wedding Oak Winery before they opened when the winery was going to be called San Saba Wine Cellars. We were told by Mike and Lynn at that time the name of the winery was probably going to change because of a trademark issue which unfortunately seems to be happening to other wineries too, e.g. 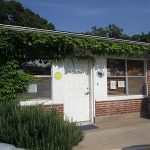 Lone Oak Winery changed to Lost Oak Winery. As Wedding Oak Winery’s website says, “It seems our friends in California like the name of our town as much as we do. 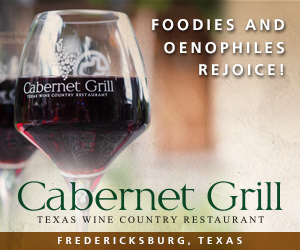 They already had it trademarked!” So there is no more San Saba Wine Cellars and the birth of Wedding Oak Winery has happened. During our first visit, we loved every one of Wedding Oak Winery’s five wines. We were not sure if it was because of the location we tasted the wines, the end of the day after visiting other wineries, the phase of the moon, or what, but we were determined to find out for sure so we had to go back. 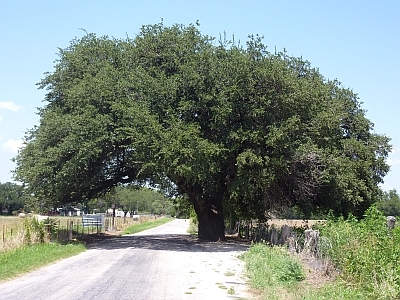 Before we went to the winery, we had to visit the famous Wedding Oak tree outside of San Saba for which the winery named two of their initial wines and eventually the winery. The Wedding Oak tree is a legendary Indian site which was popular into the 1900’s. Many marriage services took place under the tree and on December 24, 1911, three marriages took place under the shade of the tree. Now it was time to visit the winery. Following Wedding Oak Winery on Facebook, we were able to watch the progress of the winery’s construction. During the week before we visited, they finished the courtyard which is in back of the winery. We parked in the rear of the winery and could see the beautiful stone work done in the courtyard. When the weather cools, the courtyard will make a nice location to sit, enjoy the weather, and a glass of Wedding Oak Winery Texas wine. Mike McHenry greeted us at the rear door of the winery and welcomed us inside where it was cooler. We met Lynn McHenry again and enjoyed a nice overall view of the tasting room which was now complete. Mike then took us on a tour of the production facility. Construction is still happening in the 7,800 square foot production facility as they work to get it complete. It had progressed since the last time we visited as there was only a concrete slab and steel girders. The stainless steel tanks had recently arrived on container ships from Italy and were installed in the tank room on each side of a catwalk which was built locally and in place and overlooks the tanks. There are 14 tanks with a total storage capacity of 21,000 gallons. The large tanks have variable capacity lids which allow the lids to be lowered to the amount of wine in the tank to keep as much air out as possible. They will also use 3 to 4 portable tanks in the 100-300 gallon range. The tank room will be cooled at 68 degrees. We were shown their still packaged grape press which has the ability to press between 6 to 7 tons of grapes an hour. The barrel room was still empty except for the barrel racks but the barrels should be arriving shortly from California. The room will be cooled at 56 degrees and be able to hold about 200 barrels, but they have initially 84 French oak once filled barrels arriving. They plan on stacking the barrels four high but could go up to eight high if they wanted to in the room. Overall, the production facility for Wedding Oak Winery will have the capacity to produce 10,000 cases of wine a year. They have already made 1,256 cases of wine and initially they are expecting to make 3,000 cases of wine a year. Besides producing their own wine, they will have the ability to do custom crushing for others. They plan on possibly starting to crush their own fruit the week after our visit. 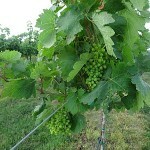 The McHenrys have been growing grapes for 11 years in their four acre vineyard called Cherokee Creek Vineyards. They will be using those grapes in addition to grapes from the High Plains vineyards. 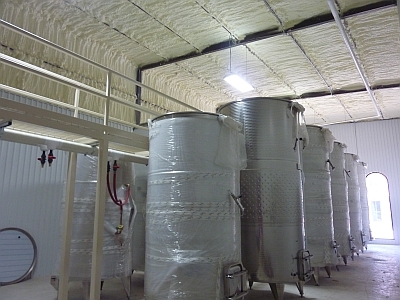 Since their production facility had not been built, Wedding Oak Winery’s initial wines were made at McPherson Cellars. Their winemaker Penny S. Adams has known Kim McPherson for 30 years so they collaborated on the initial wines. 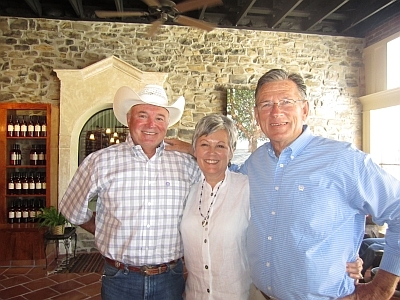 Penny was recently one of four viticulture advisors for the state of Texas and had covered the Texas Hill Country vineyards. 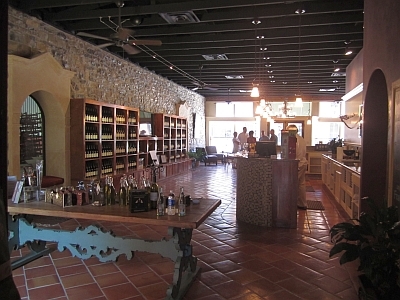 We went back to the tasting room which had been remodeled from a 1926 commercial building. Before we started a wine tasting, we went outside to the front of the winery to take some photos. The production facility was designed on the outside to look as if it was built years ago so it would fit in with the decor of the street. In fact even though it was one large building, it looked like two separate buildings from the outside. Mike said they still needed to finish the windows on the outside of the production building. 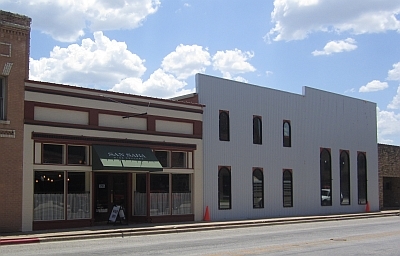 They are also waiting for the new awning over the tasting room announcing Wedding Oak Winery instead of San Saba Wine Cellars. Now it was time for what we had been waiting months for, trying the wines again and hopefully if they were as great as last time, being able to buy the Texas wine now. There is a tasting fee for their current five wines. The wines are poured with a measured pourer while you stand at the tasting bar. Crackers are available to cleanse your palate. The 2011 Wedding Oak White made of Vermentino, Trebbiano, and Pinot Grigio will be renamed next year to Bridal Veil. This will match their current 2011 Wedding Oak Bridal Blush name. 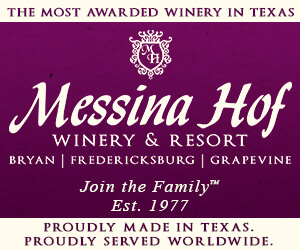 The McHenrys are proud of their 2010 Sangiovese which was made with Texas fruit from “Doc” McPherson’s Sagmor Vineyard and hope to retain the relationship of getting Sangiovese from the vineyard. When we reached the tasting of their 2010 Tioja which is 60% Tempranillo, 20% Mourvèdre, and 20% Cabernet Sauvignon, Mike wanted us to try pairing roasted pecans and then dark chocolate infused with sea salt. He is trying to learn what people prefer to pair with their wine. We also had the pleasure of meeting Mike McWilliams who is one of the Sabanista Club members. He had stopped in to visit the winery and enjoy it as much as we were. During our tasting, a television showed video loops of the winery’s construction and their vineyard. 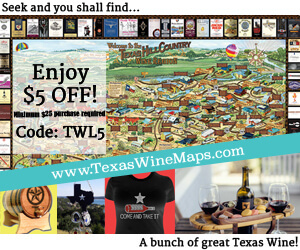 A gift shop is available with wine accessories, gifts, food products, and other items. 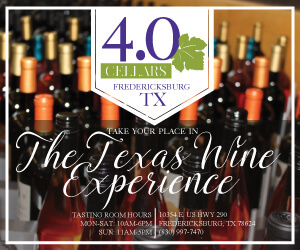 Tours will be available by appointment and are complimentary for wine club members. Speaking of wine club members, there are currently two wine clubs. The first wine club is an exclusive club called the Three Hundred. Membership is to buy two cases of Wedding Oak wine the first year and three cases each following year. 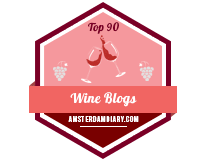 When they have reached 300 members, that wine club will be finished. Three Hundred wine club members will get a bronze plaque installed in the winery with their name and become part of the history of the winery. The second wine club is called the Amistad club. To join this wine club, a member needs to buy one case and then one case each following year. For the two wine clubs, the cases of wine will be a winemaker’s choice of their current wines. Later when Wedding Oak Winery produces 3,000-5,000 cases they will instead probably have red-only or white-only choices in their wine clubs. 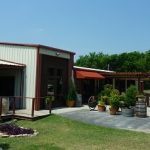 Wedding Oak Winery is on the Way Out Wineries Wine Trail and the Top of the Hill Country Wine Trail. 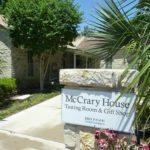 The first wine trail event for the Top of the Hill Country Wine Trail is a Beach Party from July 28-29 and Wedding Oak Winery is ready for the event. It was nice to see the production facility coming along to completion, but I personally think it is a ploy of Mike and Lynn McHenry to get us to keep visiting to see the progress. 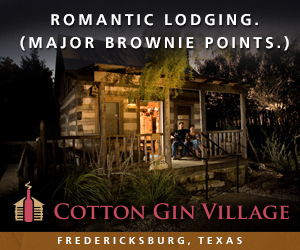 Regardless of the reason we already have plans to visit again when taking in the 2012 San Saba River Pecan Jam in October for the first time. 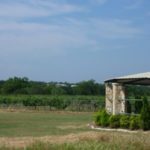 Oh, in case you were wondering about our verification of liking all Wedding Oak Winery’s Texas wines, it wasn’t a fluke from our first visit. They were all excellent and we’ll be enjoying them at home until our next visit to Wedding Oak Winery.